Each student will behave in a way which upholds or enhances the dignity and learning opportunities of others. Respect for self and respect for others are the basic guidelines emphasised within the college. 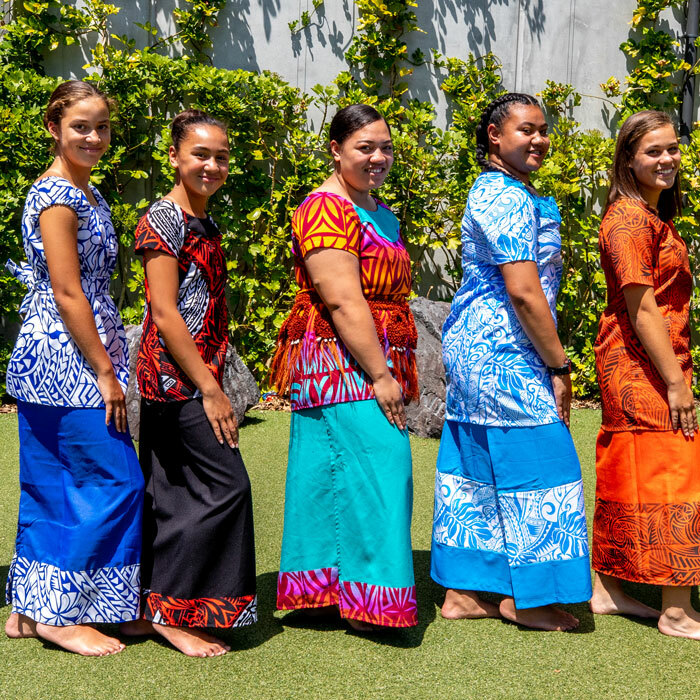 When wearing school uniform, students are ambassadors of the school and are expected to behave in a way that upholds or enhances the college name. T = Is it True? H = Is it Helpful? I = Is it Inspiring? N = Is it Necessary? The parent or guardian should email (absences@carmel.school.nz) or phone the college office (4861132) by 8.30am if a student is to be absent that day. Parents/guardians will be notified if a student’s absence has not been explained by 10.30am. A response will be required to this notification. Students are expected to attend all timetabled classes and to be engaged in their learning. Attendance is visible on the Carmel Portal. Students are expected to be at school at 8.35am and in class for the start of each period. If a student is late for any reason they need to report to the school office. Caregivers are expected to explain lateness in line with Ministry of Education requirements. Students are not allowed to leave the college grounds during the school day without signing out at the school office. The student must either bring a signed note from home explaining why they need to leave the college grounds or have their parents email the school with the details. The only exception is for Year 13 students. They may be off-site during lunchtime. If they have a study during the day they can leave the school grounds after signing out at the school office. On their return they must sign back in. All Year 13 students must be at school for Atawhai time, Whole School and House assemblies. All students must sign in and out at the office when leaving or returning to the school grounds. 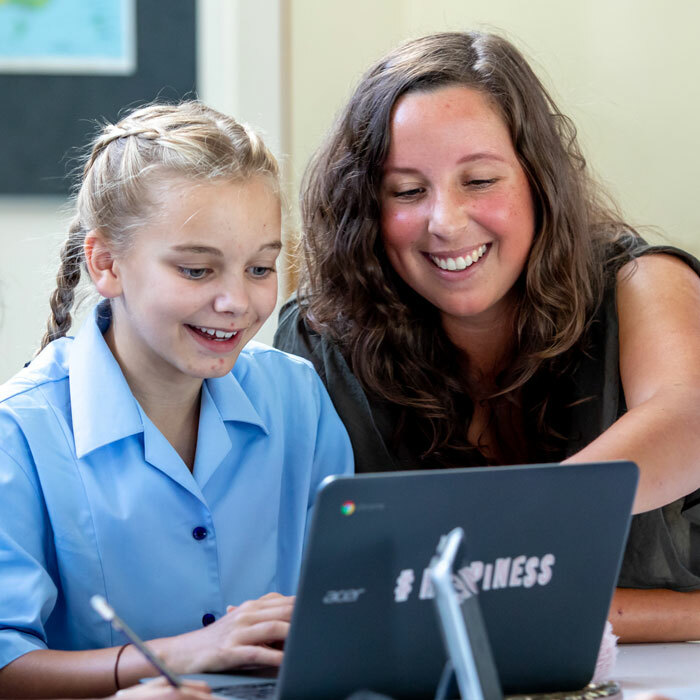 Parents/guardians must indicate, in writing, to the school well ahead of time when there is to be a planned absence for a student’s self-interest trip (holiday) or any other reason by emailing absences@carmel.school.nz. Students in Years 11 to 13 need to also complete a Self Interest Form which confirms the arrangements for any assessments they may be missing in that time. Please refer to Managing National Assessment – Student Extracts which is available on the college website. Students will not be permitted to attend school trips without permission from parents/caregivers. All students are expected to wear the full uniform for their year level (click HERE for details). Students who have a legitimate reason for wearing a non-regulation item for a short period must have their parent communicate with the school office or dean. The correct uniform will be provided if possible or alternatively a Carmel College Uniform Pass will be issued which the student must carry. Connection to the school wireless network implies consent to all that is covered in the Responsible Use Agreement which all students and parents must sign. Students need to use their school generated Gmail account for all school related work and be aware that all network use is monitored. The college can take no responsibility for lost or damaged devices as students are expected to take care of their own property. Any inappropriate use of devices will be investigated. Students are permitted to have mobile phones at school. They must remain on silent mode and are only to be used in class if the classroom teacher gives specific permission. The screen size of mobile phones means that they are not suitable for general classroom use. Personal Wi-Fi devices are mandatory for all students. Devices are to be used in class at the direction of the classroom teacher. The recording and uploading of pictures and/or videos of any person must be done with that person’s permission. Serious breaches of this school procedure will be investigated and may be referred to the Police. Harmful digital communication contained in emails, texts, pictures, blog posts and social media sites are breaches of the Responsible Use Agreement and will be investigated as a serious breach of school procedures. 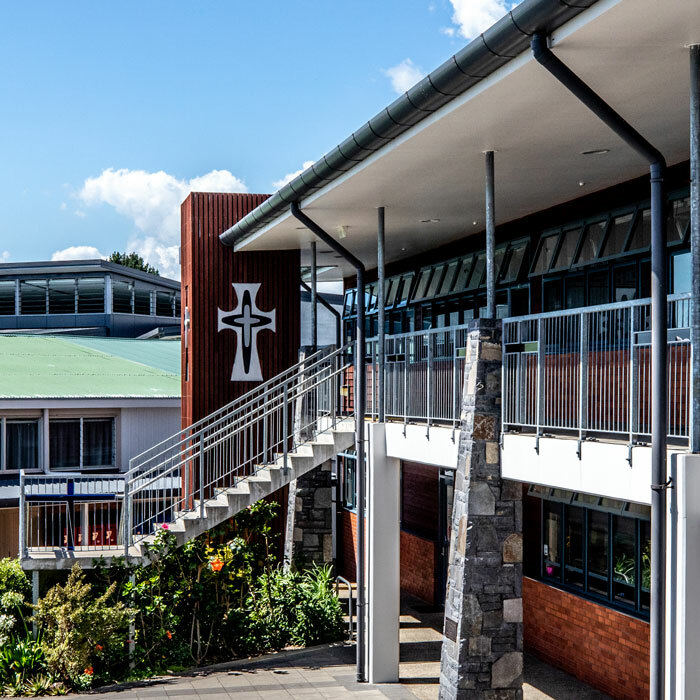 The school has LineWize in place which blocks access to specific sites and social media platforms. Every student will need to pay for their printing (5 cents for black and white A4 and 20 cents for colour). At the beginning of the year printing accounts for new students will be loaded with 20 cents (4 pages). Students will need to go to reception to top up their account. There is a minimum $2 charge for this top up. Students should expect that all homework receives feedback to assist their learning. This could include auto-marking tools, feedback from their peers or from a teacher. Whole school Masses celebrated during the year are the Dedication Mass, Carmel Day Mass, Mercy Day Mass and Thanksgiving Mass. All students are expected to attend. Week day Mass is celebrated on Thursday at lunchtime and all students are welcome. No other meetings/practices are to be scheduled for Thursdays to allow students to attend Mass. All students must purchase an ID card. They are needed for entry to NZQA exams, use of the Library and attendance purposes. All students must remain in those areas of the college grounds that are easily supervised by the duty teachers. 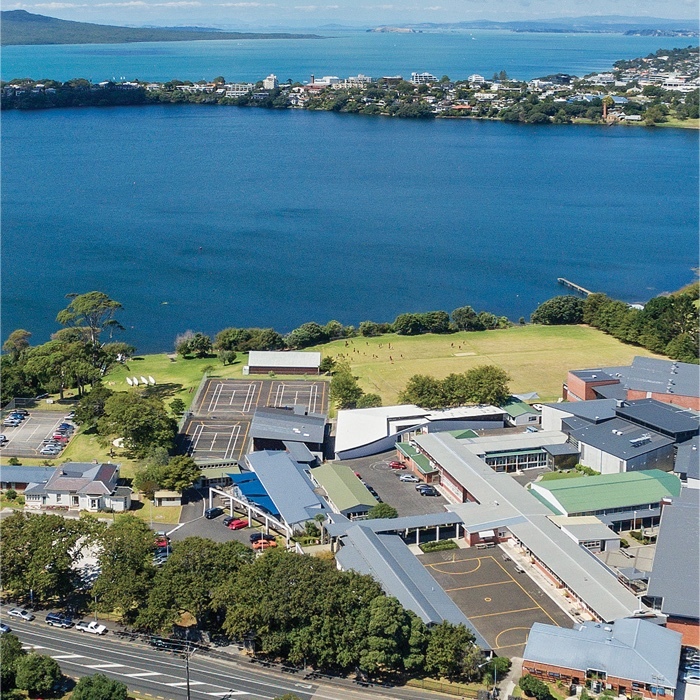 The boatshed, behind the gym, the bottom field, fenced off areas and the lake foreshore are out of bounds at all times unless students are being supervised by a member of staff. Students who wish to make an option change must see their Dean initially with a letter from their parent which will be considered if class sizes permit and the student has met the entry requirements. Stationery is not sold at the school (only subject workbooks). Stationery can be bought via internet, mail order or by going into an OfficeMax store. The link is www.myschool.co.nz. Follow the online instructions. Subject Workbooks can either be purchased on the school online shop or through the school office. At 3.15pm students whose buses arrive in the school bus bay are to wait on the top court until the duty teacher calls the bus. When called, the students are to walk to the bus and line up to get on. Students are reminded that good standards of behaviour are expected on all buses, including buses chartered for school trips. Instructions and maps showing evacuation procedures and routes are posted throughout the school. A full school trial evacuation occurs twice a year. Please ensure that all personal property is clearly and permanently named and that it is left in a secure place at all times such as your locker. Should a student need to bring a large sum of money to school, they should hand it into the school office for safe keeping. Students are ultimately responsible for their own property. If there is an issue related to personal property, see a member of the Senior Leadership Team. All lost property should be taken to the school office. Lost property can be viewed at the school office. There is a phone available for emergency student use in the school office. Entry to the school should only be through the pedestrian gate by the traffic lights in Shakespeare Road. Visitors/parents are not to drive into the school grounds between 8.00-9.00am and between 3.00-3.45pm. All visitors to the school must report to the admin office on arrival. Students who bring cars to school are to park outside the school grounds. They must adhere to the conditions of their licence. Written permission from parents is needed if students are to be passengers in a car driven by another student. Students have access to the Carmel Portal. Through the portal you can view your timetable, attendance, learning achievements, reports and much more. 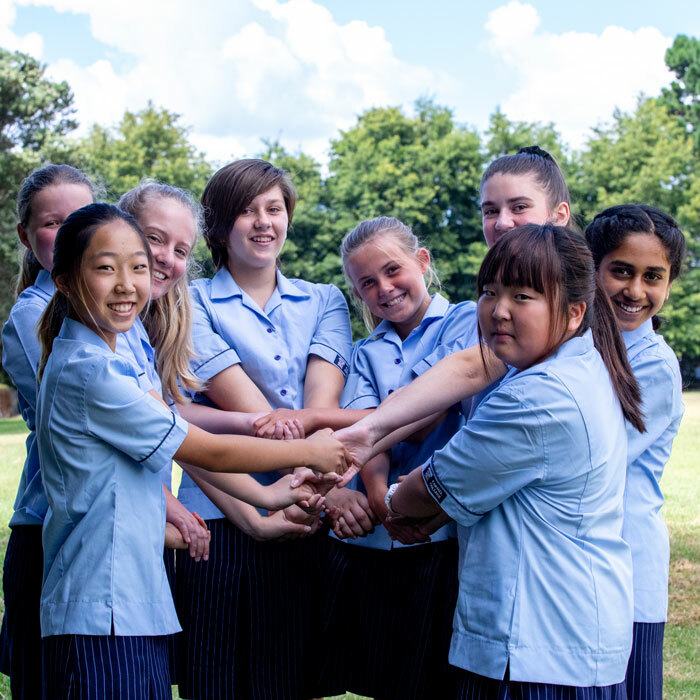 For how to access the portal – choose the Quicklink on the Carmel website (www.carmel.school.nz). Click the drop down menu and select ‘How to use the Carmel Portal’. Students who feel unwell must get a sick bay slip from their teacher before reporting to the sick bay or school office. If a student requires any medication, this will be attended to by the health care worker. Under no circumstances may students help themselves to any medication or take medication offered by other students. When a student is unwell and needs to go home, the health care worker will contact parents or guardians. Students are not to contact parents directly. It is advisable for students to remain at home if they are unwell. Any medication that a student requires during the day is to be given to the health care worker at the sick bay at the beginning of the day. Students return to the sick bay to have their medication administered. Problems are always best dealt with quickly and directly. Talk to the teacher concerned, explain your concern reasonably and try to resolve it. Bullying is when a person or a group repeatedly and intentionally uses or abuses their power to intimidate, hurt, oppress or damage someone else. It can be covert or cyber-based (happening online through social networks or through mobile phones). Bullying can be physical or emotional. Physical bullying: when physical actions such as hitting, poking, tripping or pushing, are used to hurt and intimidate. Repeatedly and intentionally damaging someone’s belongings is also physical bullying, says the centre. Verbal bullying: involves the use of negative words, like name calling, insults, homophobic or racist slurs, or words used to intentionally upset someone. Social bullying: when lies, the spreading of rumours or nasty pranks are used. This includes repeated mimicking and deliberate exclusion. Psychological bullying: involves the repeated and intentional use of words or actions which can cause psychological harm. Examples include intimidation, manipulation and stalking. Cyber bullying: this is the big one at the moment and is when technology is used to verbally, socially or psychologically bully. It can occur in chat rooms, on social networking sites, through emails or text messages on mobile phones. Sexual or racial harassment is any unwanted or offensive attention, action or remarks of a sexual or racial nature, especially when repeated after a request to stop. If you wish to make a complaint, you can choose someone who you trust such as your parents, a staff member, Dean, Guidance Counsellor. You will need to give as much detail as possible for an investigation to be carried out and, if it is a serious concern, it must be in writing. If you are not happy with the resolution of the complaint, make a written formal complaint addressed to the Principal. She will discuss it with you and anyone else concerned, taking details in writing before resolving the complaint with you. A very serious complaint about anyone in the school can be addressed in writing to the Chairperson of the Board of Trustees and given to the school office. The Board will then investigate it, in consultation with the school’s Senior Leadership Team. After the investigation, the Board will send you a written response.